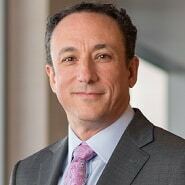 The most frustrating thing about young entrepreneurs – an unwillingness to delve into the “complex” healthcare realm – is also the greatest area of opportunity, says CIO Darren Dworkin. Sometimes it’s the solutions that would have otherwise been rejected right off the bat that can make the biggest impact, says CIO Darren Dworkin, who talks about how Cedars-Sinai’s Accelerator Program is driving innovation. Although consumers have become much more comfortable with technology than in years past, there’s still an education component when it comes to managing their data, says CIO Darren Dworkin.